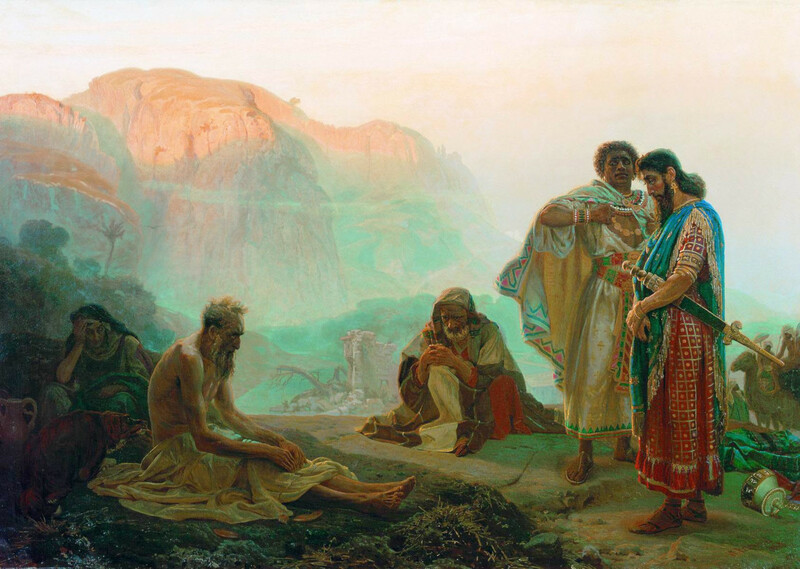 Job and his friends, by Ilya Repin (1869). . .
As you know, we count as blessed those who have persevered. You have heard of Job’s perseverance and have seen what the Lord finally brought about. The Lord is full of compassion and mercy. (New International Version.) But according to Isaac Asimov, Job really wasn’t all that patient. 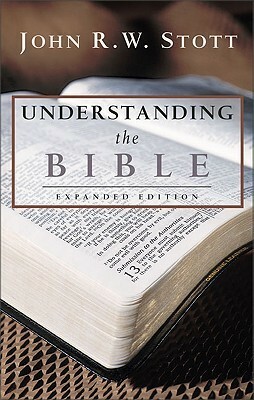 For just that reason, guys like John R. W. Stott took issue with literalists who say the Bible should viewed as “inerrant per se.” Instead – he said – the Bible should be viewed as inerrant “in all that it affirms.” As applied to this case, Stott would say that the “plain meaning” of the text of Job should not be seen as affirming suicide, as would appear at first glance. But since we’re running out of space and time, Stott’s views will be explored in a future post. For other references on the role of Satan – as Accuser or Slanderer – in the “great scheme of things,” see On “St. Michael and All Angels” and/or On the readings for May 25. James is the book of the Bible right after the Letter to the Hebrews and right before First Peter, “traditionally attributed to James the Just.” See Epistle of James – Wikipedia, the free encyclopedia. The full Daily Office Readings can be seen at The Lectionary – Satucket.com. The lower image is courtesy of Understanding the Bible by John R.W. Stott — Reviews, …. See also John Stott – Wikipedia, the free encyclopedia, which added that Stott was an Anglican cleric whom Time magazine ranked among the 100 most influential people in the world. To view some of Stott’s 126 available books, see Amazon.com: John R. W. Stott: Books, Biography, Blog, …. This entry was posted in Daily Office readings on August 25, 2014 by dorscribe@aol.com.